Irish artist living and working in Dublin. Mc Guinness was commissioned by Clonmel Junction Festival to create a work that responded to the story of Bridget Cleary a woman suspected to be a changling and burned alive by her husband outside Clonmel 1896. 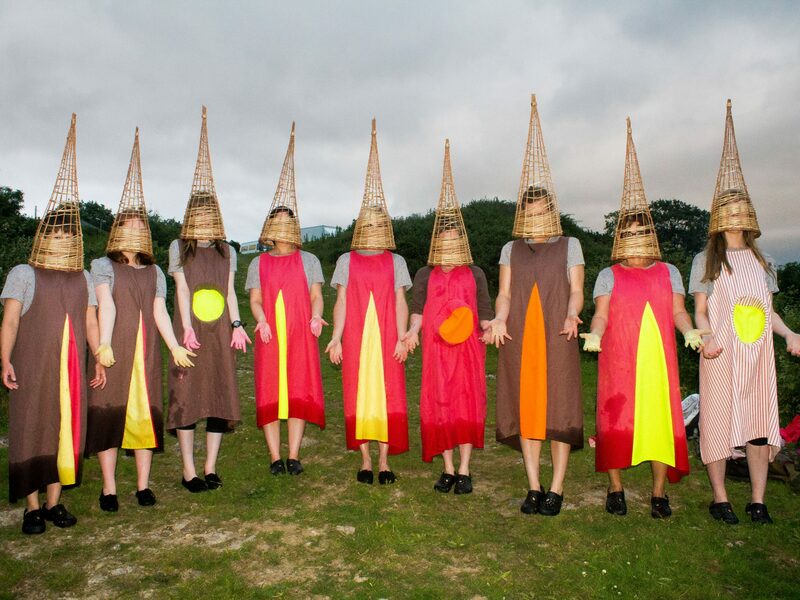 The 15 local female volunteers worked with the artist to create a large-scale outdoor performance, which looked to invoke a feminine charge within the sacred site of St Patricks well. Through the enactment of a ritual, the performance looked to acknowledge the importance of women’s position in Irish society and to connect to lost systems of ancient ritual power.